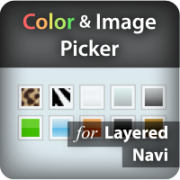 Extends Layered Navigation with color and image filters and multiple selection. 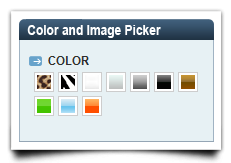 Assign a color to each filter value. Assign modified image for mouse over, selected and mini states. Apply additional image masks over all filter values. Customize image mask for mouse over, selected and mini states. Flow values in frontend horizontally or vertically. 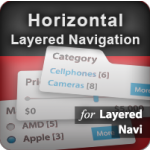 You can easily combine this extension with other our Layered Navigation extensions such as SEO, Ajax, Drop-downs, Checkboxes and many more (existing, new and counting). BEST VALUE OFFER. 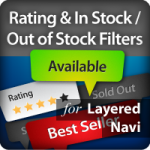 There is also full package of all Layered Navigation extensions from MANAdev.com - SEO Layered Navigation Plus - which not only saves you money and gives you all current our Layered Navigation extensions but also allows you to use future Layered Navigation extensions for free. This extension is compatible with the Magento version 1.4.2 and later stable versions.